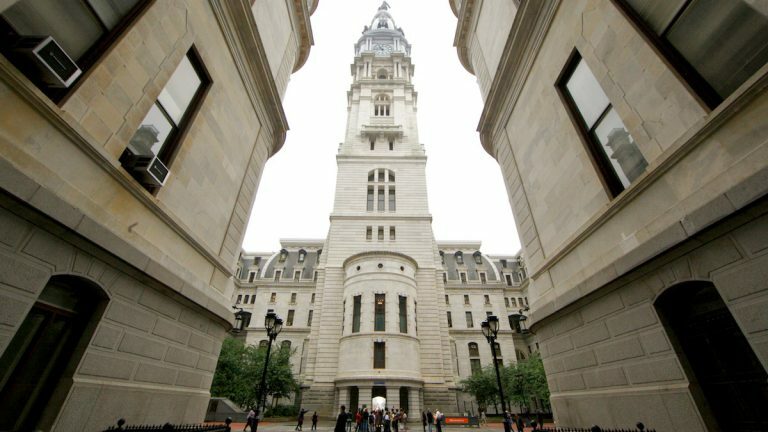 Heading into the third mayoral election under Philadelphia’s campaign finance and ethics reforms, it’s increasingly clear that those well-intentioned efforts have had unexpected consequences that are making city elections less competitive and campaigns less transparent. Of the nine district council members running for re-election, each of whom have broad powers over their district, only one is facing a stiff challenge — and that is only because the challenger is a wealthy self-funder. A significant number of candidates have either declined to run for office, or already dropped out, because of the difficulties of fundraising under these limits. Remaining candidates spend hours every day asking for contributions rather than talking to voters about issues. Reforms meant to bar big donors from receiving no-bid contracts in exchange are not effective. Big spenders who don’t give directly to candidates are still eligible for no-bid contracts. Voter turnout has dropped in every municipal election compared against the previous one. Given the above, is there any way to say that races today are fairer or more competitive than they were in 2007? Not really. But there are ways to address these issues without risking corruption. And it starts with loosening — if not eliminating — the City’s campaign finance limits. I know many people believe that big money controls races and that everything possible must be done to stop its inherently corrupting influence. But we shouldn’t get stuck on the theory of how things should be. The reality is that big money is still here. Almost every day there’s a new article about unaccountable SuperPACs preparing to invest in the mayoral and council races. These outside groups are an unaccountable and harmful, but logical, consequence of the campaign finance limits. This isn’t a question of whether corruption should be fought — it should be, at every level. It’s a question of how to do it, and whether the campaign finance limits in place help or hurt the effort to make elections more open and competitive. It’s important to understand why candidates in general and challengers in particular need significant resources: It’s the only way to get over the hurdles our election system has in place and to reach voters. Candidates need staff, signed petitions, direct mail, phones, and television and radio ads, as well as get-out-the-vote operations on Election Day. Incumbents have natural advantages and oftentimes institutional support for many of these things. Challengers have to pay for them. Every time it’s made harder to raise the needed money — and limits make it harder — candidates, even incumbents, spend less time discussing policy and meeting voters face to face. Reformers lament the amount of time candidates spend raising money, but there’s no other way to pay for all that needs to be done. But while there aren’t other ways to raise the needed money, there are other ways to stop corruption. The single best way is to impose mandatory jail time on those found to be corrupt — no parole, no probation, nothing but 10 years behind bars. Right now, there aren’t significant penalties for campaign-related corruption (although most of the corruption cited isn’t related to campaign finances, anyway). But jail time will chill any that is. This is also the right move because donating significant sums isn’t inherently wrong. After all, if someone writes a big check, but doesn’t get anything from government in return, what difference does it make? If someone writes a $50 check and gets a contract, that is wrong. The conduct is what’s wrong, not the size of the donation. Redistricting reform. There’s nothing that deters more candidates from running for office than a district that was drawn to benefit a specific incumbent. Allowing everyone to make the ballot. A rite of spring is candidate filing petitions and other campaigns trying to knock them off, costing the campaign thousands of dollars and frequently designed solely to drain an opponent’s accounts. No petitions means no challenges. Increase disclosure and penalties for violations. Pennsylvania has terrible disclosure rules, with only limited filings before primaries — the next filing is not due until just weeks before the primary. We should mandate monthly disclosure, and the penalty for not filing should also be increased. It’s just $500 now. Make it $5,000. Some may argue that these suggested reforms are “naïve” and that they’ll never happen. My response is that it wasn’t just naïve to believe that capping contributions would limit the influence of big money; its unintended consequences have made our system less fair, less transparent and less competitive. Daniel Fee is the president of Philadelphia strategic communications firm Echo Group and a longtime strategist and spokesman for Democratic candidates, including former Gov. Ed Rendell.